A divorced New Yorker currently dating a high-schooler brings himself to look for love in the mistress of his best friend instead. There are not many films that I would call perfect in every sense of the word. Now and then I will come across a great film that I really love, but there will always be one or two small things about the film that I am not as keen on. This however is not the case with Woody Allen’s “Manhattan.” I believe that the film is one of the most perfectly constructed films I have ever seen. Its imagery, music, story, characters – for me everything about Manhattan works perfectly. What’s more, added to all of this I find the film very funny and massively entertaining. First things first. The opening sequence of “Manhattan” is my favourite film opening of all time. A beautifully shot montage of New York filled with amazing imagery of the city, scored with George Gershwin’s “Rhapsody in Blue.” It comes together very well and creates a love/hate letter that Allen creates for the city. The sequence comes to a dramatic ending with fireworks and dynamic wide shots of cityscape. The first dozen times I saw the opening I was left speechless, having never been to New York I have no relationship with the city, however Allen’s passion comes off so strongly in Manhattan’s opening that it is hard not to feel emotional. We all have places that we love to hate or hate to love and as the film goes on this aspect is explored in more detail. I dislike the idea that a location can be a character in a film, but with this Manhattan it really does feel like the main characters are Allen’s Isaac and the city of New York. Manhattan has a wonderfully written script it never becomes melodramatic or corny in any way. It is very funny throughout and maintains love for its characters, even at their most desperate moments. The films black and white cinematography shot by Gordon Willis (The Godfather) is terrifically beautiful and creates a unique atmosphere, one that is unlike any other film. 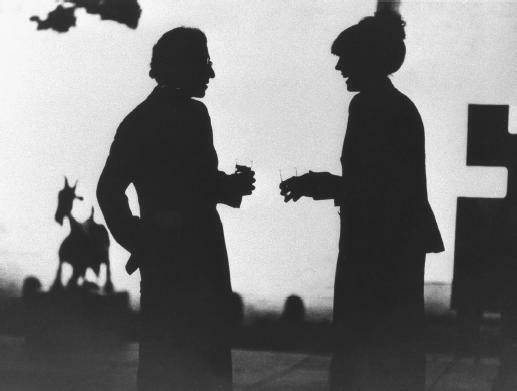 As far as Woody Allen goes I believe that Manhattan is his best, even over “Annie Hall.” The film is a great example of blending every cinematic element to work together perfectly creating something that works as a whole. It is the film I have seen more times than any film, but it never loses any of its magic or its character. The more times I see Manhattan the more I can convince myself that it truly is one of the best pieces of cinema out there. Hi! I love your website! Thanks for dropping by my blog to introduce it. I’m a fan of old movies as well. I see that there’s a little treasure trove in here of movies I should probably see. Thanks!